Flying through Sacramento last week, I couldn’t help but notice the stark contrast between the old terminal buildings and the new one that’s slowly taking shape, towering over the surrounding area. The humble, old terminals look like shacks compared to the monster they’re building. This is going to be one expensive terminal project, and you know how I feel about that. The old Terminal B will be toast as soon as the monstrous new Terminal B gets built. That in itself is a good thing. I actually like the retro look and feel of the terminal, but it is hardly adequate for an airport today. Check out this front view of the high B terminal facade where JetBlue flies. Kind of cool, right? But it’s not exactly the most functional building around. The small lobby where JetBlue lives has JetBlue and Continental employees shoe-horned into a tiny ticketing area. That’s actually right behind the baggage claim, as strange as it sounds. Then there’s an enormously large open area flanked by the small Horizon Air ticket counter. After checking in, you go upstairs to a very small security area which undoubtedly is under-sized and not ideal for TSA operations. Once you get behind security, you see a relatively short concourse. It isn’t connected to the other B concourse, so transferring between the two appears to require leaving one secure area and then going back through to the other side. The concourse is small and awkwardly arranged. I love it. But that’s only because I like the old-school retro feeling you get in a place like this. I mean, check out this gate sign. But having gone through this terminal, there’s little doubt in my mind that it should go away. The question is, how do you fix the problem? The plans that were put together were ambitious to say the least. Sacramento used to be a cheap place to fly. As recently as a couple years ago, cost per enplanement was in the $5 range. That’s cheap. But after building new rental car facilities and parking garages among other things, costs have started to rise. In the fiscal year that just ended, cost per enplanement is expected to come out to $11.65. That’s expensive but not horrendous. After the new terminal is built, cost per enplanement will balloon to $17.75. That will be the peak cost in the fiscal year ending June 30, 2013. That is horrendous. Naturally, anything that might increase our costs is a concern for us. That said, they are moving forward with the project, and therefore we’ll continue to work with the airport to see how we can best operate in the most cost efficient way. In other words, “we didn’t like it, but they’re building it anyway. Now we have to figure out what works and what doesn’t.” This is bound to hurt traffic levels at the airport, though a spokeswoman from Sacramento Airport said that no airlines have suggested they’ll cut back service. We’ll see about that. My guess is some traffic has already suffered from the creeping costs. It towers over the current Terminal B and it will have a lot of light and open area. The concourse will grow from the current 13 gates to 19 and it will be connected by a people mover to the main terminal. Here’s a mock-up of the landside part of the terminal. This seems extravagant to me. It also looks like they’re trying to set a world record for the number of escalators in a building. If it looks familiar, it should. This has been designed by Fentress Architects, the same people who brought you Denver International Airport (or as Holly Hegeman used to call it, Senor Peña’s Palace of Planes) and the overgrown new Bradley Terminal concourse at LAX. Many have questioned why the airport even needs to build such a large new addition when traffic hasn’t grown in years. In 2009, 8,914,510 passengers used the airport. That was down 10 percent from 2008. Going all the way back to 2004, the airport had 9.5 million, so it’s not even back at 2004 levels yet. And it’s not like things look good for the future either. This is a city that runs on state government, and massive government cuts are constantly in the works. The dysfunction of our government in California is legendary, and I don’t anticipate seeing much growth for years to come. The project looks nice, of course, but it seems entirely too expensive. My guess is airline service will suffer. People mover? Seriously? There was no other place to put airside? I bet Sacramento also purchased the optional extended warranty protection for this thing when they were at the checkout line. Given that architectural rendering it looks like Sacramento is trying to build a world class gateway of an airport. Why? They don’t, and probably never will get major international flights. The arrogance and one upsmanship of politicians never ceases to amaze. SMF should be trying to keep costs low and scabbing all the traffic off SFO & OAK they can get. C’mon, Sacramento…seriously? Build some new gates, throw in a Burger King and a Cinnabon and call it a day. You’re not Singapore or Dubai, not even close. ATL had some grand ideas for their new international terminal, but most of those got shelved when Delta protested due to projected costs. They went as far as to threaten to move the hub to MEM. That never would have really happened, but they caved and ATL will get a new efficient, but not spectacular, international terminal. I’m sure SWA is probably making some pretty direct threats behind the scenes. Built a temporary terminal out of trailers a la jetblue’s T6.5. Err forgot to finish the comment: then torn down the current a and put a new one in the place of the old one. I’m not sure what those buildings are between A and B, but you would think they could have been relocated if the cost savings were significant enough. A flashy terminal would be nice of it will be set up for international flights also. Getting new international business to California could have world travelers coming to SMF and some eye candy at the airport wouldn’t hurt. It also doesn’t hurt to build something larger now and grow into it then to have to rebuild again in 10 years because it’s to small. Sacramento is decent sized city(just over 2 million metro) but it’s only 2 hours from a huge metro area considering the entire Bay Area. Sure SMF has more than just state workers flying in/out but they will always be eclipsed in O/D traffic by SFO. They should be playing to their strengths, i.e. less congested and inexpensive option for those wanting to drive 2 hours up I-80. People drive farther distances to save $25, literally. Jacking up the costs at SMF helps nobody. No, it’s not that the only people who fly to Sacramento are going for state business, but that’s why it’s even a halfway decent market. There are a couple million people around, but the median family income is only about $67,000. In comparison, similarly-sized San Jose’s metro area has a median family income of $94,500. There is a lot of migrant labor in the central valley making up a good amount of the population. BTW, I only flew to Sacramento because I could get there from Long Beach. Reno is the more convenient airport for Tahoe. The everyday needs of the airlines, mainly functionality, space, and efficiency (low costs) have to be better balanced with the grand plans of politicians and airport administrators. Lower CPE (Cost per Enplaned Passenger) leads to more airline service. The opposite is also true, which San Jose, with the spectacular but expensive new Terminal B, currently suffers from. SMF’s terminal A could have been easily expanded to the East for more gates, and Terminal B could have been refurbished for a third of the cost and kept the CPE well under $10. Inefficient procurement policies and union rules also drive up costs, but this is California after all. I chuckled talking to an architect doing the current Lindbergh Field update in San Diego when he joked he couldn’t design a bathroom for under $25 million. They are spending a billion on just ten additional gates. Atlanta definitely struck a better balance, and so did airports such as Oakland who are making incremental improvements that are functional. People wanting to fly to a place is what creates more airline service, not cost per enplanement. Again most people fly somewhere because there is a reason, ouside of fare price, to go there, such as business, vacation, family. Could a lower cost per enplanement decrease or increase frequency? May it attract one more airline company into a market? Possibly, but it doesn’t generate traffic. While I could see some vacation destinations becoming more attractive with lower fares, Sacramento ain’t one of them. Does this mean Sacramento’s terminal is not a boondoggle? No, of course it is. But its not the great white whale that will sink the area’s airline market either. The only thing that COULD do that is high speed rail, which is years away from completion. And that will have a drastic impact on the number of domestic flights within California. I agree that it’s not going to “sink” the airline market, but that doesn’t mean it won’t hurt. Yes, the number of people wanting to fly somewhere is important, but let’s say they want to pay $100 (just to make this an easy calculation). Back when Sacramento’s CPE was $5, maybe the total cost per passenger was $95 for the airline. But now with CPE $10 higher, it’s a losing proposition. Most airlines won’t pull out but they will cut back service to squeeze out the lower paying people who would have been profitable on a lower cost base. Look at JFK airport in NY. As busy as it is, one whole 17-gate terminal is not even opperating. How do you expect an airport like SMF to grow over the next few years? You are better off closing terminal A & moving those flights to terminal B. If nessessary add gates incramentally to cover the loss of those in terminal A.
I presume you’re referring to Terminal 6, which used to house JetBlue. It currently has 14 gates, and they’re demolishing it to make room for the expansion of Terminal 5. It used to have 21 gates, but seven of those were temporary ones in trailers..
Maybe all airports should use trailers as terminals. Would make for easy expansion, just add more and/or move them around to better service the airports travel needs. They would cost less, could have easy changable facades inside and out to ‘redecorate’ when needed and be raised up to still be able to use jetways. Terminal A is newer and has more room to grow. Terminal B is as old as the hills and has little or no room to grow. There are far too many flights at SMF for the airport consolidate terminals as is. The real interesting thing in this whole project is Southwest. SWA kicked, clawed, etc to be in the at the time, the “new” terminal, which is now Terminal A. Then when the County proposed replacing Term. B (and believe me, its really needed), SWA said they were against paying the fees. Now, their arrogant you-know-what’s then said fine, if we are paying higher fees and rents, WE get to be in the new Terminal B. All the airlines currently in Terminal B were promised this new one after getting the snub for Terminal A, largely because of SWA. Now, some of them are being sent to Term. A after the new B opens. SWA is the big bully here in Sacto and no one is willing to challenge them, which is a shame. They should spend a similar amount of money on replacing B, as they spent replacing A. If they’re spending more then SWA has an argument. If they’re spending a similar amount or less, then SWA should just shove it. I don’t know what happened back in the day, but Southwest should be a bully to some extent. In 2009, there were 8.9 million passengers passing through that airport. Southwest flew more than half of them. 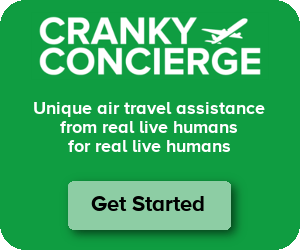 If my airline brought that much service to an airport, I would throw my weight around. Just proves out that most government entities, especially airports, fail to plan with economic theory in mind. It is pointed out that traffic is not growing in this area and that high yield traffic is at risk with budget issues for the state. The Southwest’s and Jetblue’s will reconsider when you double your cost when there are other airports offering incentives for them to fly to them. Its all about maximizing utility and they are doing the opposite. This has big government written all over it. We think this a nice pretty building is most important so the whole world thinks highly of us, we wont consider how the cost of this effects business and when they end up taking a step backward and losing a ton of money they will just try to get the tax payers to bail them out. Harvard and Stanford law need to re-evaluate their curriculum. When has anyone picked their airport, especially in a one airport town, based on the terminal? Terminal 2 and 3 at JFK are so bad it could send some to other terminals at the airport, but that is an entirely different situation vs. SMF. In the past I’d choose NW to DTW, knowing they use the shiny new terminal versus airlines using the old dumpy buildings..
I’m flying to Madrid this fall and bummed that my airline doesn’t use the new T4 at Barajas. Mike–Sounds like you need a lesson on airport finance. Airport terminals aren’t financed by local tax dollars. Under federal law, airports are financially insular. That said, I also disagree with your short-term thinking on economics. If governments, or large public facilities such as airports, operated like big for-profit companies, it would be disaster. As one airline CEO famously said, “any airline is only 18 months away from certain failure.” The bottom line is that if airports operated with the short term investment/risk/return timelines that airlines (and private companies in general) do, airports would always be behind the demand curve and air travel would be even more miserable than the worst of it is today. Airports need to look 10-20 years into the future to survive, whereas that kind of long-range planning (or risk to see a return on investment) wouldn’t fly if investors were involved. I’m sorry, but I diverge with most of you here. The reality is that airport costs make up an insignificant fraction of airlines’ total operating costs and an airports “CPE” (which any industry person will tell you is a totally unscientific and relative measure) is likely to be more volatile than airline scheduling. On paper, I follow the logic. But in reality, airport costs don’t drive airline route planning decisions. The airlines love to say it does, but it doesn’t. In some big, specific instances (i.e. US at PIT or CO at DEN) it may make a bit more of a difference, but even in those extreme cases decisions were made on a LOT more than airport costs. If there’s a market to serve, an airline will serve it. Are you suggesting that $17.75 per passenger is an insignificant cost? I would beg to differ. In an industry where margins are razor thin, that more than $10 increase in cost is a big deal and it will impact service. For all intents and purposes, yes, I would. I’m not saying $17.75 is a low CPE by any means, but if there’s a market to serve out of SMF, it will be served regardless. If there are 50 PPDEW flying between SMF-LAX with an average fare of $500, for example, the route won’t be dropped by every carrier flying it because of a $30 CPE let alone a $17.75 CPE. Strong markets get served, others don’t. If SMF has peripheral service to secondary markets, it may be at risk, but those markets are at risk for 1,000 other reasons than just CPE at SMF. But doubling or tripling the CPE affects the market, yes? I understand what you’re saying and your example is described well. But a $500 average fare between SMF-LAX? JB SMF-LGB is as low as $49. SWA SMF-LAX is similarly priced. Therefore, a CPE of $5 affects the market less than a CPE of $20. To say that costs do not affect prices and prices don’t affect markets defies basic economics doesn’t it? That could be the worst impression of a Cranky interview I’ve ever seen. I mean, come on. Lots of people like to say I’m a shill for airlines because that’s the easiest and (wussiest) way to fight with someone who has a different view, but I don’t know anybody who thinks I’d be a shill for United! Clearly if I am, then I’m not doing my job very well because I rip on them regularly. I’m not complaining about a new terminal. As I said above, “But having gone through this terminal, there’s little doubt in my mind that it should go away.” The question is how they go about doing it. Comparing it to Dubai is just silly. Dubai is a global hub where people have long layovers and money to spend. Sacramento is not a hub. It’s an endpoint, and because of that, it should be as easy to get in and out of as possible. That means there’s no need for glamor. There’s a need for function. This terminal appears to be going above and beyond that by far. If you’d like to continue to argue the points, I’m happy to do it, but don’t stoop to the lame “shill” level of accusation because it’s not even worth arguing. Actually I think Dubai is a perfect comparison to Sacramento if we’re going with the idea of both as tremendous boondoggles. Lets be clear here, Dubai’s traffic is almost wholly generated by its use as a hub for Emirates. And that will only exist as long as route-planning on an international level is limited to a hub and spoke system; its not immediately apparent that will be the case in the near future due to the better economics of new planes coming on board. The 787-8 was absolutely designed to allow entry into point to point markets that heretofore could not service larger planes for long flights. And its acquisition by many European airlines, not to mention a number of developing countries airlines, will limit Emirates/DXB’s status as a hub onward into Asia and India. Why take a one-stop flight when there will be increasing numbers of point to point service to many countries? The answer; nothing. Just a random observation on the 787 comment: the exact same thing was said about the CRJ back in the day–point-to-point flying, goodbye hub-and-spoke, etc. Twenty-odd years in, there are very few non-hub 50-seat RJ operations, and the trend in the regional industry is AWAY from 50-seat flying to destinations that can’t justify big planes and TOWARD 70-100-seat mainline replacement. My airline finally has a written social media policy, so I can point out that it (Atlantic Southeast) has just one that I’m aware of: one CRJ200 daily from TLH to FLL. I took a short flight out of the old SJC terminal C to terminal B in SMF a couple weeks ago. Funny that both are slated to be replaced/are replaced. Anyways, Terminal B is awkward and it doesn’t feel like an airport in a capital city, I was puzzled as heck when I saw baggage claim next to checkin counters. I have to ask – did you take that flight just for that leg or were you going beyond? I’ve always wondered if anyone flew on that leg alone. I like flying out of SMF, and I prefer flying out of the old Terminal B over A most of the time, just because Southwest isn’t in it with its extra traffic and long security lines. As far as costs goes, flight are often cheaper out of SFO or OAk, especially on the legacy carriers such as American. Some times cheaper enough to justify the cost and hassle of flying out of the Bay versus SMF. I’ve flown in and out of SMF my entire life, and Terminal B is a complete joke and can’t handle the traffic it currently has. Terminal A at its height could hardly handle the flights it had with Delta’s absorbed NWA flights moving into terminal A a busy travel day there means LOTS of headaches. Its funny people say Sacramento is small, but they fail to take into account it services most of the Sacramento/San Joaquin. This includes Chico and Redding to the North and Stockton, Modesto, Fairfield to the South. For many of these people SMF is the only option. Does this justify the expense of this project? No. Does SMF need more space? Absolutely. I’m not sure if the others have the same impression, but it sounds like you’re lobbying on behalf of the airlines. Terminal costs, in my opinion, constitute just a small fraction of the total operating expenses of airlines, and these guys won’t think twice about passing costs to passengers if their bottomlines suffer because of increased airport costs. As a passenger, I wouldn’t mind extra costs for improved services and convenience. You may be right about the extravagance, though, I’m just glad they scrapped the in-airport hotel. About terminals, the best commentary I ever heard about it was from an interview years ago about the then-new terminal at SAV (the awkwardly named Savannah/Hilton Head International, not to be confused with Hilton Head Airport). Basically, the terminal is the first and last impression a visitor has of a city is its airport terminal. I just flew out of MDW for the first time since the new terminal opened (the last time was on Valujet, to give you an idea). I was very impressed by the result, especially considering I flew into T2 at ORD that morning. The cramped condition of the old terminal added to the long list of reasons to avoid MDW, but having an open, uncramped space makes it a more pleasant experience. British Airways used to promote its operation at Gatwick North as “the hub without the hubbub”, and I’m sure that the open, airy spaces (compared to the South Terminal) added to the sharp contrast with the utter chaos that is Heathrow. Space-age architecture was integral to marketing CDG as a first class gateway to Europe, again particularly compared to LHR. Ask why many prefer FLL to MIA, and it’s often because MIA seems chaotic, and the architecture is usually the culprit. ATL’s midfield terminal was the antithesis of all that. Those of you too young to remember, find some pictures of ATL in the early 80s. It’s an ugly, ugly airport (though the city did a tremendous job in the 90s and 2000sies to upgrade the interior) but it’s efficiently laid out as a hub airport. The scaling back of the new east side international terminal has less to do with Delta’s objecting to the cost than Mayor Shirley Franklin and Airport Manager Ben DeCosta’s fight with the steel company. Having said that, civil engineers love to go overboard and overbudget on airport projects. In Dubai, where building monstrous public works to prove something to the outside world is the new national pasttime, the airport is par for the course. I worked in SMF Terminal B for many years, and it was undersized for all of them. It was the original paired terminal for SMF when it opened brand new in 1967. It was maligned as oversized then and would never be filled. However, by 1978, it was “… handling more than four times the passengers originally projected…” (Sacramento Magazine, Jan/Feb 1978), and that’s when PSA was the biggest operator with just 19 flights a day followed by United with 16. The terminal has not been significantly enlarged in its 43 years. The United/American concourse was lengthened one gate pair and the buildings were popped out to add the ticket counters and bag rooms for (now) American and Frontier. The rental car counters were moved out entirely to a remote, unique terminal to free the spaces in the terminals for additional check-in counters, while the bags at those counters are sent through holes in the back wall for sortation outside, with trailers brought in for the airline office spaces. The mid-concourse spiral ramp down to the AirWest gate (anybody else remember that?) was converted to the upper level Gates 31 and 33. Jet bridges were added without adding holding areas. The Red Carpet Club and Horizon/Crown Room spaces were surrendered to add seating and vendor space, so there are no member/VIP clubs at SMF. Open-air breezeways connecting the T1 buildings were walled-in to add baggage claim belts, allowing for a grand total of six claim areas. The tiny original round carousels are adjacent to the ticket counters, with the check-in lines wrapped around them during busy times. United used to use both A and B carousels for a single DC-10, 767 or stretch DC-8. American uses the more distant, larger Carousel C in order to make its 20-minute last-bag commitment, and avoid the notorious under-floor bag jams of A & B. (I’ll never forget that wedding dress disaster.) Since arrivals and departures are not separated, it’s a mess out at the curb. Yes, there is a Cinnabon, but it sits where the seating area had been for those awaiting arrivals, and makes it tricky to get to the Ladies restroom. Terminal A was not designed for international operations, so the old Commuter Terminal was converted to a single purpose one-gate international arrivals building with US Customs and Immigration facilities. (That and the County administration building are the two structures between current Terminals A and B.) After unloading, the Mexicana and charter planes then have to reposition to gates in Terminal B for passenger handling and loading. So no, this new Terminal B replacement is not unnecessary, and is well overdue. Wingtips good post. Nice to hear from people with first hand experience about something. What Cranky fails to note and most comments (with the exception of Scott) also miss is that all of this was planned and approved when SMF was booming. While nearly every other airport in the nation (and particularly. The 3 Bay Area airports) was declining in traffic and flights in the post 9/11/2001 period – Sacto was an exception seeing significant growth. The Sacramento Valley realized promising relocations from major Bay Area firms like HP, Oracle and Intel placing large administrative groups into the region. Terminal B, while quaint was and is – as Cranky noted terribly inadequate and expansion was certainly needed. As growth began to level off by 2006 – the forecasts still looked reasonable although by then the housing bubble was starting to hit its breaking point. Indeed the state is in a disastrous place today with the collapse of the economy, which hit Sacramento particularly hard. Only regions like Vegas and Michigan are worse off. Will it come back? Who knows but when this was being planned it made a lot more sense. And as also noted – the project was significantly scaled back recently as well so that does deserve some credit. All of that said – I would not argue that simply replicating Terminal A and its parking garage would have been a fine solution. That terminal is functional and comfortable and very adequate for the market. There does seem to be a lot of ego from officials with grandiose plans for their airport legacies. HP (Roseville) and Intel (Folsom) were already in the area but population projections did show significant growth over the next 20 years. The cost to continue to maintain and operate TB must be very high (there is a term for this and it escapes me at the moment.) These two considerations did and likely continue to justify a new terminal. Whether is should be “this” terminal, I leave for others to debate. Given the fact that: forcasts suggest the facilities are needed, it is difficult to get any project on an airport started given the “anti everything” attitude of many, and a six dollar increase which will go down as traffic builds, I’m all for the project. Remeber all the hell raised about Denver International which was to cost fourteen dollars a passengers. Today it is the best buy the airlines have in the country. How about they fix the damn poor bus service instead of working on a people mover? I park in economy frequently and the bus sevice is just totally unpredictable, plus the countly just seems to have decided to neglect the lot entirely, weeds 3 feeet tall in some places, dirty bus stop areas and just general disrepair. Half of the lot isn’t even paved and they are spending over a billion on a new area? Oh and add in the fact there are rairly enough cashiers on hand when you leave, it’s really totally annoying parking here, are they trying to force us into the more expensive garage? Just wait until Southwest Airlines takes over the WORLD! You all won’t be laughing at the new terminal then. It will be the headquarters for a New World Order of Southwest Airlines and LUV is mandatory. BAAHHH HHAAAA HAAAAA!!! You people need to get real. If this were a matter of your own personal home, you would expect it to be all it could be. You cannot keep sinking money into antiquated facilities and expect them to keep working. Obviously you people know nothing about construction, cost and what it takes to run an airport. Everything that has been done, the airlines have been involved in. Have they agreed with everything, no but they are not the owner. This terminal will reflect Sacramento in a positive light and ultimately will prove the smartest decision made by the County. The author needs to check his facts on the designer, too. Corgan Associates led the project with Fentress on the team. Do you happen to know if it was built by local people and with made in the USA materials? Haven’t found the info on that for airport extension and the new bus terminal. In San Francisco the last large project built was built by China and the materials where not manufactured in the USA. Well well it seems the new terminal has not resulted in a financial boon and now they plan to cut expenses 15 percent. Who could have guessed this would happen? Everyone maybe? Of couse they will blame the cost of labor and try to make any decent jobs just part time instead of looking at all the money wasted on imported executive types and ridiculously overpriced art.New technology at the exit gates translates very simply.Less customer service, but don’t worry since your getting less they won’t raise the parking rates right?? hahahahhahah suckers! guarantee the rates will rise soon.Here’s some news for the “thinkers” at the airport, No one, not a single person buys a ticket to fly so they can see the terminal.No one flys to Sacramento to see Sacramento itself, San Francisco is a destination, Sac no way. I work in SMF terminal B and must say, its a shame what they have created, definate overkill. It feels like a ghost town, with only southwest, alaska, and american operating during the day. Jet blue moved to terminal A. Volaris and aeromexico operate at night. Customers ask daily whats going on, why so empty. The management has a serious marketing problem and are unwilling to lure airlines to enter or stay in SMF.. they are unwilling to take it on the chin a bit to attract new business. All the airlines have cut back their schedules, and nothing new on the horizon. Simply outrageous the fees they charge for common use. I used to fly in and out of Sacramento regularly, pre-renovation, but over the past couple of years I have decided to drive up from Southern California or fly into Oakland. I can simply not justify spending almost double on the same ticket to pay for someone else’s idea of what an airport should look like. Passenger use as fallen greatly and it will continue to until they get their prices in line with other airports. People are not going to pay nearly double to fly to Sacramento to be tourists. Give me a brake. It cost you somewhere between fifty to eighty cents a mile to drive to Oakland, not to mention the time you spend assuming it has some value. I’ve not checked but the new construction project probably increase the cost to the airlines by about ten dollars per enplaned passenger. Whether they have passed the cost on to the passenger is always hard to tell since competition will tend to dampen price increases depending on the amount of competition between city pairs. I heard all the “crap” regarding DIA and today compared to many of the other large hub airports they are quite competitive. For example DIA runs about fifteen dollars per passenger, Boston is close to fifty per passenger, Miami not to far behind, and Kennedy out of sight. I read they are opening a bunch of new restaurants. i don’t understand this at all. if the current customer numbers caused massive recent cuts in employees why do they need even more restaurants to serve an essentially empty terminal? Looks like the original poster had it spot on. this has turned into a economic burden for sacramento county and the airport itself still has bad problems with service. Looks like the original poster had it spot on. this has turned into a economic burden for county and the airport itself still has bad problems with service. I honestly don’t think that the new Terminal B at SMF was that bad of an idea. Lots of new airlines have come, including nonstop flights to YVR with Air Canada, and to GDL with Volaris. I live in Sacramento, and we have definitely gotten more international flights. The airport is trying to get Hainan/Condor/Icelandair now, which I can actually see happening within the next few years. With the old terminal, I doubt nonstop flights to Europe/Asia would even be on the table.